Shade Gardening in Florida | Garden Gate Nursery - Gainesville FL better selection. better advice. 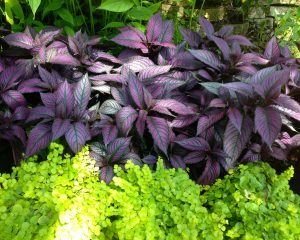 A shade garden can be a beautiful addition to any landscape. While Florida may have a large variety of plants that thrive in direct sun, we are definitely not short of colorful shade-loving plants. Most shade plants require little care besides supplemental water during drought season and a slow release fertilizer. In 1-2 hours of sun or less, a shade garden can add a unique and tropical accent to your yard. 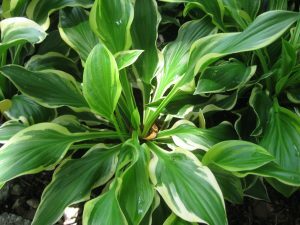 Here at Garden Gate Nursery, we carry a diverse collection of quality perennial shade plants such as Ferns, Jacobinias, Caladiums, Hostas, and Gingers that will provide a beautiful look to your garden year after year. 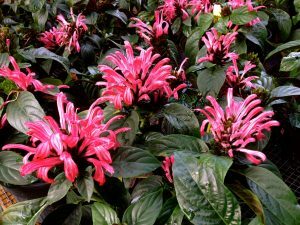 The Jacobinia and Ginger plants have several choices of leaf and flower color. 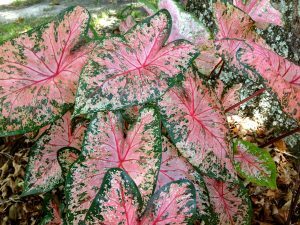 The Caladiums, Hostas, and Ferns also have vibrant, variegated foliage that will make your garden the envy of gardeners everywhere. Come on by to Garden Gate Nursery and see our shade plants. They are located along the edge of the parking lot near the bags of soil and at the Eastern side of the Nursery towards the front.